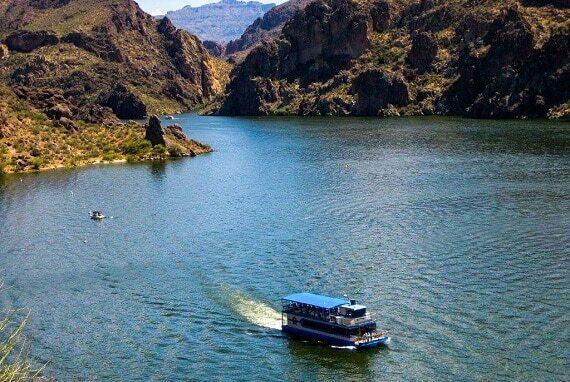 Enjoy a 90 minute cruise describing the History, Geology, Geography and Wildlife native to the Sonoran Desert narrated live by a coastguard certified captain! You’ll see the flora and fauna of the desert, including the various plant life and possibly bighorn sheep, bald eagles, bobcat, mountain lion or wild horses in their natural habitat. For best views be sure to bring binoculars. The boat has an open second floor with retractable awning. The first floor is handicap accessible and mostly enclosed with air conditioning. The cruise is appropriate for local residents and guests of all ages with easy embarking and graceful, relaxing tour speeds. Saguaro Lake is 10 miles long but the boat travels about 4 miles into the lake and then comes back to the dock. 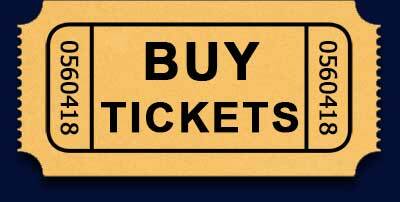 Book a narration cruise online, by calling or at the walk-up ticket booth. The best chance of securing a desired date and time is to book online or call in advance. Water, soda, beer, wine and cocktails are available for purchase at the boat’s snack bar. See all snack bar options. Visa, MasterCard, or American Express are accepted at the walk up ticket booth. Credit/Debit cards are accepted on the boat at the snack bar. Cash is not accepted at the ticket booth but is accepted at the snack bar. No pets allowed on board but certified service animals are permitted. Minimum of 10 adult passengers required for the boat to leave the dock. Children ages 3-12 years old. General ticket holders board after Preferred ticket holders. Infants ages 0-2 years old. All passengers must have a ticket including infants in arms. Group rates apply for 10 or more adult passengers! Learn more about group rates.